The No. 1 parent goal, according to our internal survey, is to help their children to develop intellectual skills while they spend time having fun. This is how Tyche was born as an AI companion for children. Children can talk to Tyche and Tyche talks back with reasoned responses. While engaged in an open-ended conversation with Tyche, children will anticipate and consider what to think and say before they talk to Tyche. In doing so, they will develop their cognitive reasoning skills such as intelligent problem discovery and solving, learning and memory. 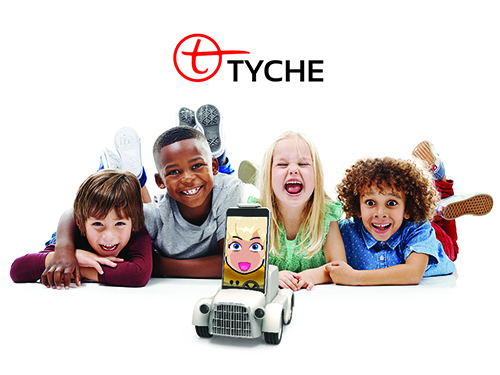 We need your help and backing to be part of the team to fulfill our grand vision of Tyche as the true AI companion for the kids of the future. We ask our friends and supporters to fulfill or our “A Dollar for Tyche” Campaign by funding us with one dollar each. As a token of our appreciation, one person, to be chosen by lottery among every 100 backers, will receive a Tyche Limited AI robot. Thank you so much for your support by clicking on it. This entry was posted in Tyche and tagged AI, Campaign, Cloud Funding, Kickstarter, Robot, Tyche. Bookmark the permalink.